Ride and Read! NEWS by Madness Photography - Onno "Berserk" Wieringa: Motorcycles in Milan alleviate traffic: no tax! 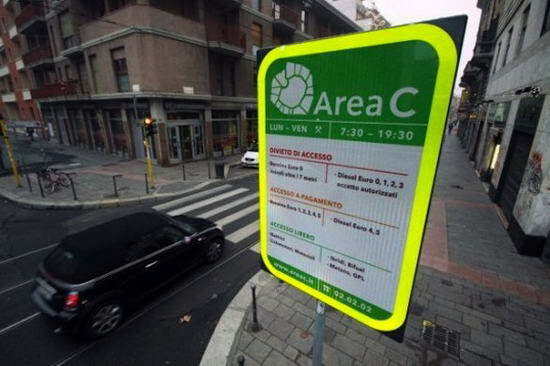 In Area C, the center of Milan, motorcycles are allowed to ride and not pay tax. The authorities in Milan , Italy are using their grey matter, more than most politicians in Europe. Many big cities have started a congestion charge, the biggest and boldest is London, UK, charging you money so that you can come to their city and spend (or maybe earn) money. Authorities around Europe cite pollution, traffic jams and many other reasons for the tax, and almost all charge anyone money to drive into their city, including motorcycles and scooters. It doesn't matter that PTW Powered Two Wheel - motorcyles, scooters, mopeds generate less traffic, and during the trip, generate less pollution. They still have to pay. But not in Milan. In what is called Area C, the center of Milan, motorcycles and scooters are allowed to ride and not pay the tax. The reason cited is that they alleviate traffic, and hence should not be penalized financially. The new Area C comes into effect January 16th 2012, and will be run as an experiment for 18 months. Thank heaven some politicians still see what it is all about. Of course, it does help that the majority of European motorcycle manufacturers are Italian.